FlyFood Theme was designed specially to meet requirements of projects that need simplicity, fast implementation, customizability and easy maintenance. 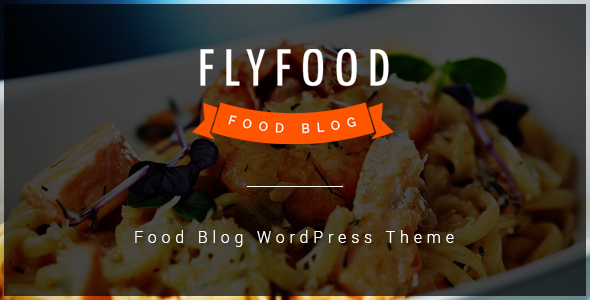 FlyFood Theme is highly recommended for food blog, and for all blog types (food, recipe, personal, writer, designer, architect, freelancer, coder, fashion, business, non-profit, hand-made, SEO, video, business blog and other) because it offers the basic set of elements and templates everyone can use without having any programming skills. Meet UNYSON â€“ the most powerful & free framework for WordPress. It comes with a bunch of built-in extensions that will help you build & customize your website fast & easy. â€“ Drag & Drop Page Builder. â€“ Built in Forms Module. â€“ Backup & Demo Content Easy Setup. Google fonts library is here! Remember those times when fonts were a real problem for a website developer or designer? Now those times are in past and we couldnâ€™t be happier to announce that Google Fonts is fully integrated with our theme. That means you have access to more than 818 free fonts of all shapes and serifs. Now itâ€™s only a matter of choice until you will find the perfect font and color combinations for your project.